Tonight come Downtown for the annual Halloween Parade! Enjoy the costumes, the kids, and the fun starting at 7pm for the West Chester Halloween Parade. Parade gathers on Market Street between Church & Darlington and continues down Market and up Gay Street. Marching bands and cheerleading performances are featured as well. Families and groups are welcome to participate. 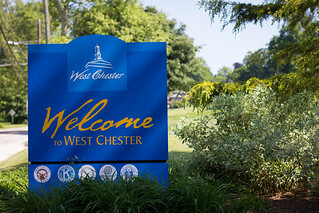 For more information call the West Chester Parks and Recreation at 610-436-9010. There will be free parking offered at the Justice Center Garage (Market & New Streets). Hope to see you there!